Ask my children; I constantly talk about great customer service. When we go through the drive-through and the attendant gets my order right, I’ll rave, “That was great customer service.” If an associate goes above and beyond, I’ll call for the manager and tell them about the great customer service I received. Providing great customer service doesn’t only apply to paying customers like me; it also applies to job seekers providing great customer service to hiring authorities (recruiters, HR, and hiring managers). If you’re searching for your next job, you might see it as jumping through hoops. Further, you might have had a bad experience or two with hiring authorities who’ve been plain rude. But receiving poor customer service from hiring authorities doesn’t mean that you’re given the license to return the same. No, providing great customer service to hiring authorities can be the deal maker that lands you the job. It always starts with attitude. What makes me cringe is when a job seeker says, “I don’t care what employers think. They’ll have to accept me as I am.” Here’s the thing, hiring authorities don’t have to accept you as you are. They hold the cards. The sooner you accept this, the sooner you’ll land a job. No, you can’t argue with a recruiter about salary and benefits. No, you can’t decide when to interview based on your whim. No, you can’t treat the receptionist disrespectfully. No, you can’t be a jerk…anytime. Think great customer service, instead. My wife and her team were trying to fill an HR Generalist position. One of the résumés she received was from a person who had no HR experience; her experience was in dog walking and retail sales. Nor did she have a formal degree required for the position. Wasting interviewers’ time is not great customer service. I’m not one to dissuade people from applying for position when they lack some of the qualifications; however, I don’t encourage people to apply for positions when they lack the most important experience, skills, and accomplishments. Companies have you send your résumés and fill out an application for a reason. They’re trying to maintain the sanity of their HR and recruiter departments. You’ve heard of companies that receive hundreds of resumes for a job. Get the idea? However, I suggest trying to get your résumés into the hands of hiring managers. If you personally know someone in the company, they can be your courier. This approach will save you the frustration of sending you résumés through applicant tracking systems (ATS) that will eliminate you from consideration if you don’t match their keywords. When a hiring authority calls at the agreed time, you’re obligated to take the call. I’ve spoken with clients who told me they weren’t ready to take the call, so they didn’t. I’ve spoken with recruiters who’ve been totally ghosted—yep, it works both ways. Answer the phone! It goes without saying that you should be prepared for the phone interview, especially if it’s a scheduled one. Show great customer service by taking the interview seriously. One complaint many hiring authorities echo over and over is candidates’ inability to answer this simple question: “What can you tell us about our company?” Some of the candidates respond with, “I didn’t have the chance to visit your website.” Visiting their website is the least employers expect. I recently spoke to a client who was preparing for an interview. I asked her pointblank, “What do you know about the company?” She went on to say she knows all the products like the back of her hand, loves the responsibilities of the job, knows who is interviewing her, and has performed all the responsibilities and more. This client was clearly demonstrating great customer service by showing the employer she’d done her homework. Not only do I praise companies for their professionalism, accuracy in taking my orders; I admire their quickness. Think of being on time to the interview the same way the companies, of which I speak, are consistently quick. Hiring authorities will appreciate your punctuality, albeit not too early, and might even note it as a deal maker. If you are going to be late, call ahead and apologize profusely when you get to the interview. Great customer service. Do you know who is one of the most important people in the hiring process? If you guessed the receptionist, you’re correct. In some cases, the receptionist is asked what they thought of the candidates who came in for interviews. If they give a thumbs down, that’s all she wrote. Make sure you are respectful to everyone with whom you come in contact. Great customer service includes smiling and being friendly. I make a mental note of this when I’m being served, even if I’m not smiling back. My client could have gotten offended, thinking that the question was stupid; but, instead, she thought about the reason for the interviewer asking and knew she had to show respect by answering the question seriously. That’s an example of great customer service. I recently spoke with a recruiter from a large medical device company who told me that some people don’t even thank the hiring managers for the time they’ve taken to interview them. What did our parents teach us? The same recruiter told me that the hiring managers would almost beam with excitement when they received thank-you notes. My rules for thank-you notes are very simple: send unique ones to each interviewer, mention a take away from the interview, and be quick in delivering it. Again, signs of great customer service. As I conclude writing this, I understand that advising you to provide great customer service in your job search is a tall order, especially given the circumstance. I also know you don’t always receive the best customer service from hiring authorities. Be the bigger person, though. Realize how it will help you in the end. This entry was posted in Career Search, Customer Service and tagged Customer Service, job search, Job Seekers on March 25, 2019 by Things Career Related. Successful businesses realize that selling excellent products at reasonable prices is not enough. They have to couple that with excellent customer service. This last component cannot be overlooked. To most consumers it’s a vital ingredient. 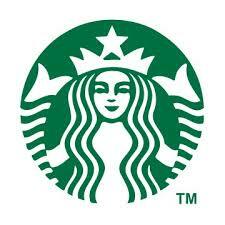 When people ask me which business offers the best customer service, I automatically say Starbucks. My valued LinkedIn connection and Chief Influence Officer, Brian Ahearn, felt the same way in 2013 when he wrote 5 Reasons Why Starbucks is so Persuasive. That was awhile ago, but I’m willing to bet he still prefers Starbucks over the competition. I asked Brian which five traits of customer service stand out in his mind. He was quick to rattle them off—I’m sure he could think of others, though. His five traits are: friendly, responsive, helpful, empathetic, and knowledgeable. Smart job seekers understand that everyone is their customer. My experience with Starbucks has consistently been pleasant because the baristas are…friendly. They smile, ask me if I need anything else, and always wish me a good day. I feel as if I’m the only one they’re waiting on. Not only should you smile; you should also make eye contact and project warmth in your voice. Again, simple advice; but I can attest that when my clients do all threee of these three, they receive a better response from me and others. At a networking event, you’ll come across as friendly while talking with networking partners, which makes you come across as someone they would recommend to a hiring authority, if the opportunity arises. Of course there are other attributes you need to demonstrate. Similarly, your friendly demeanor is essential in an interview, where you want to come across as affable, someone with whom people want to work. Friendly seems like a simple trait, yet it packs a bigger punch then most think. The baristas that take my order at the drive-through don’t need to be told twice what I and the members in my car want. They make me think, “Dang, they’re on the ball.” This is one example of responsiveness. I’m sure you can think of others. You have to be responsive to your networking partners who rely on you for advice and possible leads. When answering a job ad, you must send your résumé and cover letter to potential employers within a day or two. This will indicate how responsive you’ll be when you work for them. When being interviewed on the phone, showing great customer service means getting back to the interviewer quickly. Many a job seeker has lost out on jobs because they kept the interviewer waiting. Be prepared to answer the difficult questions; don’t waste the interviewer’s time. This trait brings to mind companies that are aren’t helpful. The associates are nowhere in sight, and when you happen to land one like a fish, they give you convoluted directions that confuse you more than help. Being helpful in the job search means helping others who are looking for work. I wrote a post about giving to others while networking. This means thinking of others before thinking of yourself, which may seem difficult given your situation. Help employers by applying for jobs for which you’re qualified. I know this sounds like basic information, but this is one of the biggest complaints recruiters and hiring managers have. I tell my clients they should meet at least 85% of the requirements, not 40% or 50%. A company that shows empathy will understand the concerns of its customers. Products or services that don’t perform up to standards and need to be returned without hassle is one example of showing empathy. This post from John White describes how his employer handled a difficult situation involving irate customers. As a career strategist, I see the roller coaster of emotions job seekers go through in their job search. As my customers I have to be empathetic to their plight. This doesn’t mean, however, that I should let them lose focus and drive because of their turmoil. Nor should you allow your fellow networkers lose sight of the endgame. Understand what they’re experiencing, but hold them accountable for their search. You can empathize with them, because you’ve been there, but you also realize they have to conduct their search, when they may want to stay home and watch Ellen. Have you ever come across a technical customer service rep who answers all your questions, even the ones before you ask them. They lead you through a serious of complicated procedures in order to get your computer up and running. You’re so grateful that you want to talk to their supervisor so you can praise your technical customer service rep. This is how you need to come across in the job search. I think of Mavens who are there to provide advice to struggling job seekers; whether this is in an organized networking group or a meetup or one-on-one. One client who comes to mind is not only knowledgeable, he’s also caring. Of course, demonstrating knowledge is most important when you’re sitting in the hot seat at an interview. Able to answer questions about the role, company, even competition is essential to your success. This requires extensive research on these three elements, not a cursory read of the job description and website. Take your research to the next level—this is what the knowledgeable customer service rep—did. Study anything written about the company on the Internet. Talk to people who work at the company. Read press releases and annual reports if the company is public. Leave no rocks uncovered. No one values and knows customer service as well as Brian Ahearn. A recent post he wrote describes how last impressions are lasting impressions. It is a wonderful story that I can relate to. I may even be more stringent than him, because even one bad experience may cause me not to return to a company. Yes, I know this is sad, but I do value customer service. And so should job seekers. They must realize that providing great customer service is essential to their search. Essential. This entry was posted in Career Search, Customer Service and tagged Customer Service, job search, Job-Search Success on November 1, 2016 by Things Career Related. I’m a coffee snob. But I’m frugal. I buy a pound of Starbucks dark roasted coffee at the grocery store to brew at home; and when I’ve brewed a full pot, I’ll pour what my wife and I don’t drink into a container, which goes in the refrigerator. Starbucks has not only won my loyalty for its excellent coffee; it’s won me over for its customer service, as well. Customer service is such a priority to me that I’ve abandoned a famous hamburger joint up the street from us because it takes forever to get served. I’ve also traveled miles out of my way to give my money to another branch of a large retail store because I’ve been treated rudely by some teenager whose main concern is texting his girlfriend. Customer service weighs so heavily on my mind that my kids get sick of hearing me say, “That was great customer service,” or the opposite, which is more the case than the former these days. My kids also get embarrassed when I ask for the store’s manager so I can commend an associate who did his/her job the way it should be done. As much as I hate poor customer service (maybe we’ve come to expect it), I feel much stronger about superior customer service. And thus, I feel Starbucks “is all that” when it comes to customer service. Why? Let me reenact a greeting from a Starbucks associate at the drive-through I frequent when driving home from my mother’s-in-law house. “Good evening. Welcome to Leominster’s Starbucks. How may I help you?” the young man wearing the headsets says. “I’d like a Venti ice coffee with half the ice,” I reply. Less ice, more coffee. “Thank you, my friend,” I hear as I’m approaching the bend. Now I think, here is a guy who really loves his job. And here’s the kicker—Starbucks’ coffee associates always get my order correct, whether it’s at a café or drive through. I think about customer service wherever I shop, but there aren’t many retailers that prompt me to ask a manager what contributes to their associates’ excellent customer service. I’ve spoken to a few Starbuck’s managers about why their customer service is so great. Perhaps this is because great customer service isn’t all that prevalent; maybe not enough businesses are focusing on training their employees on this seemingly lost art. This entry was posted in Career Search and tagged Coffee, Customer Service, Starbucks on June 5, 2013 by Things Career Related.